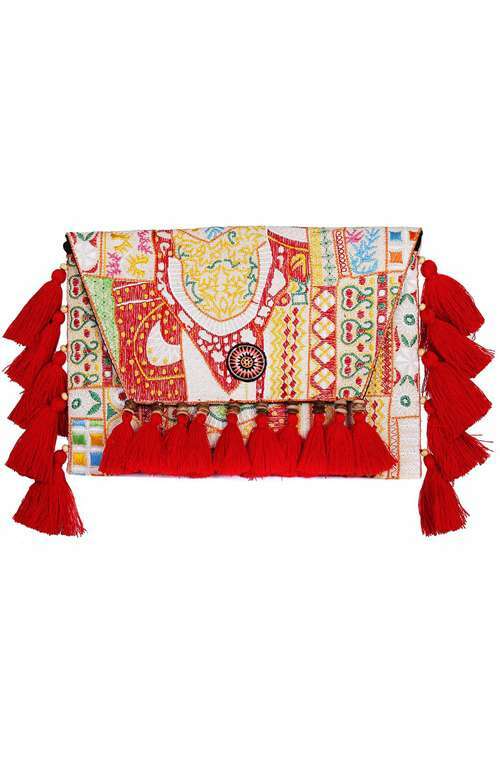 Beautifully bohemian tassel bag handmade in Thailand. 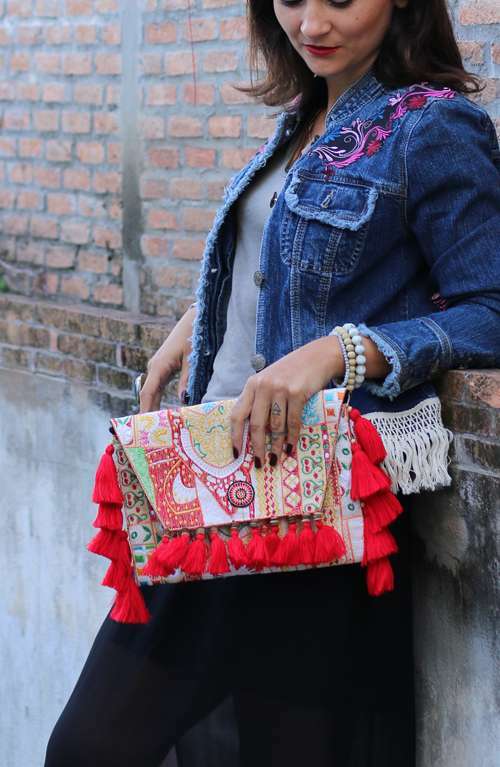 This gorgeous clutch was handmade in Northern Thailand. 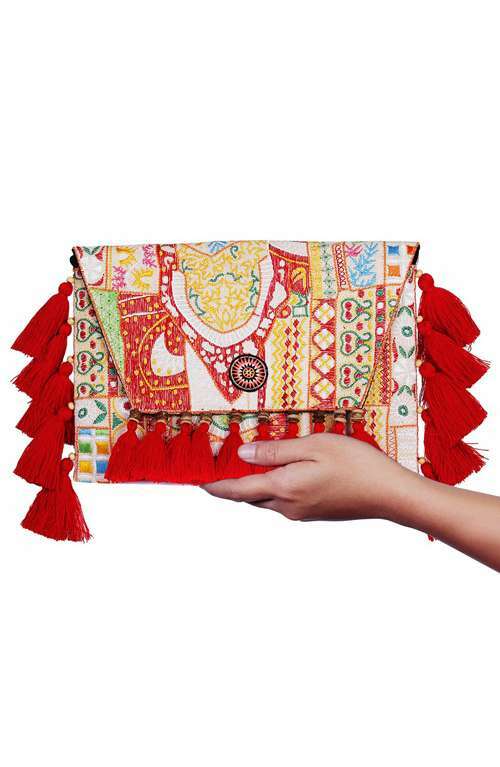 The boho purse is made with embroidered textile and decorated with gorgeous red tassels. 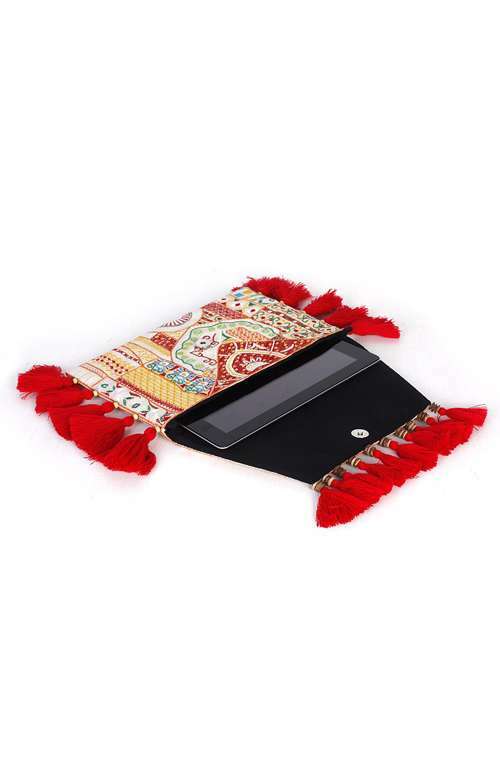 The festival clutch has a magnetic closure and a zipper pocket inside. This bohemian bag will be sure to turn a few heads with it's unique style.